No matter what, backup and disaster recovery will always be necessary to keep a business going. This is all the more reason that you should attempt to find the best possible solution for your organization. With so many providers that have a varying focus on backup and disaster recovery as separate entities, it’s difficult to know which platform will serve your business best. 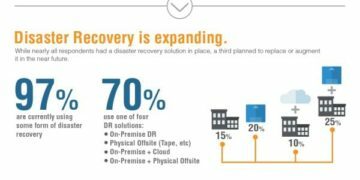 Providers like Acronis, Datto, and NovaStor have a stronger emphasis on backup, whereas Carbonite, Actifio, and Axcient are more dedicated to disaster recovery. 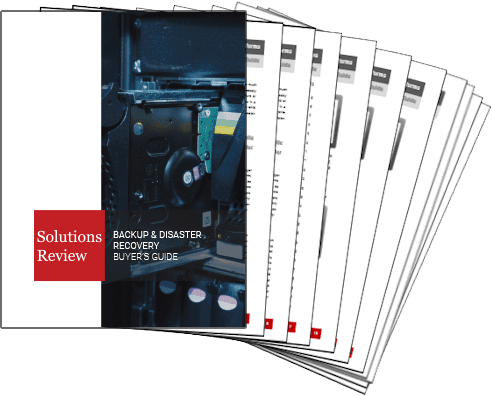 Knowing what you want in the face of so many options is difficult, so in an attempt to assist you with what can become a daunting task of selecting the right product, these are the top-24 best backup and disaster recovery solutions for 2018. Acronis offers backup, disaster recovery and secure file sync and share solutions. The vendor provides data protection in any environment, including virtual, physical, cloud, and mobile. Acronis’ solution is a disk-based backup and disaster recovery software designed for larger enterprise environments and provides flexible disaster recovery for all systems. Something that puts Acronis above other providers is its speed; the average recovery time for Acronis Backup Advanced is minutes rather than hours. Actifio protects a range of workloads, including large-scale applications and virtual environments. The vendor also pioneered copy data management and offers scalable instant recovery for apps, files, and virtual machines. Actifio’s differentiated features in backup and recovery deliver functionality that can speed backup modernization, improve recovery point and recovery time service levels and apply granular protection at the application level and at the VM level. Over 40,000 small and mid-market businesses trust Altaro to protect their Hyper-V and VMware virtual environments. The vendor’s solution offers customers the best efficiency using the industry’s leading deduplication technology. The provider also offers VM backup in less than 15 minutes. Everything in Altaro’s solution can be managed and monitored from one single dashboard or by using the vendor’s online management console. Arcserve offers two different backup products including Arcserve Unified Data Protection (UDP) and their legacy backup offering. UDP delivers comprehensive Assured Recovery for virtual and physical environments with a next-generation unified architecture and an easy to use console. The solution also enables the automated disaster recovery testing of business-critical systems, applications, and data, without downtime or an impact on production systems. Asigra offers Asigra Cloud Backup, an enterprise level backup and recovery software solution that provides a single data protection interface for physical servers, virtual machines, endpoint devices, and cloud apps. The backup solution is designed for compatibility with public, private and hybrid cloud architectures. The range of tools offered by Asigra ensure that users can securely protect data while using less network and storage resources. Axcient offers a single solution that incorporates data protection, disaster recovery, and archiving. The vendor provides two self-service platform options that can be managed by a single user: Axcient Business Recovery Cloud, which is their legacy solution, and Axcient Fusion. Both platforms offer one-hour and eight-hour RTO options. Additionally, Axcient’s backup and disaster recovery solution offers granular recovery options, system snapshots, bare metal restores and full virtualization. Based in Switzerland, Bacula Systems offers an open-source, enterprise-level backup system for heterogeneous networks. The vendor’s tool, Enterprise Edition, provides physical, virtual and cloud backup and recovery. The latest version of the solution offers network data backup and recovery software that doesn’t penalize clients for data volume. 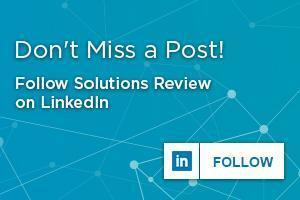 In addition to this, Bacula Systems is known for having high customer support service ratings. Barracuda Networks’ solution, Barracuda Backup, offers a complete cloud-integrated solution for protecting physical and virtual environments that includes software, appliance, and offsite replication. With an extensive range of supported environments and integration with copy file sync and share services, organizations can replace multi-vendor piecemeal backup solutions with the all-in-one Barracuda Backup appliance. CloudBerry Lab provides cloud-based backup and file management services. The provider’s backup and disaster recovery solution, CloudBerry Backup, is a good fit for small and mid-sized businesses. With CloudBerry Backup, users can choose to store their backup data with more than 20 online storage providers, including Amazon S3, Microsoft Azure, Google Cloud, HP Cloud, Rackspace, IBM Softlayer, among others. Commvault has a long list of supported public cloud providers, hypervisors, big data support and database protection. It’s primarily offered as a software-only solution but does have an appliance as an option. The platform features built-in automation, orchestration, replication, alerting, and reporting. Commvault enables users to streamline and automate disaster recovery operations, orchestrate complex or uncommon disaster recovery scenarios, and gain more security across workloads. Datto offers backup and disaster recovery appliances, SaaS data protection, and managed networking products. The vendor is 100 percent channel driven and recently merged with Autotask to create the only complete, global IT business management and business continuity platform built just for MSPs. Additionally, the provider’s backup tool, Backup Insights gives users a complete picture of how files and folders have changed over time, adding versioning to the file restore capabilities. Dell EMC’s backup and recovery solution is a prepackaged backup suite made up of several different components that are also available for individual sale. The vendor’s data protection solutions give a full range of protection, from archives to continuous availability for physical, virtual and cloud environments. Dell EMC ’s all-in-one Integrate Data Protection Appliance combines Data Domain with Avamar and DD Boost for Enterprise Applications. FreeStor, the tool powered by FalconStor, offers robust data protection and recovery capabilities. The tool automates complex recovery processes to ensure data can be recovered before business operations are impacted. FreeStor is a disk-based backup solution that efficiently protects business-critical data such as databases, email, and files. Users can also proactively detect and alert performance bottlenecks and health risks using a real-time analytics module, with historical and real-time trends and reports, streaming analytics and insights. IBM’s Spectrum Protect is a data protection platform that gives enterprises a single point of control and administration for backup and recovery. It enables reliable, cost-effective backups and fast recovery for virtual, physical and cloud environments of all sizes. This tool is a family of software offerings designed to help organizations manage and protect their data by simplifying backup administration and delivering more scalable solutions. Micro Focus merged with HPE in the fall of 2017 and now offers Data Protector, a comprehensive, centrally-managed backup and recovery software for physical and virtual environments designed for data-driven data centers. Data Protector offers high performing backup and recovery across various data repositories, applications and remote sites in physical and virtual environments. 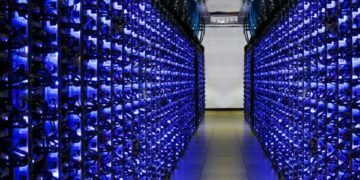 It also standardizes and consolidates backup and recovery processes so that businesses can improve reliability and gain business resiliency. NAKIVO offers a fast, reliable and affordable data protection solution for VMware, Hyper-V, and AWS EC2 environments. In addition to this, over 150 hosting, managed, and cloud services providers are using NAKIVO’s software to deliver VM BaaS and DRaaS to their customers. The provider’s solution offers capabilities which include flexible deployment, complete VM protection, smaller backup size, and guaranteed recovery. StorageCraft’s File Backup and Recovery with Backup Analyzer is able to identify, protect and recover critical data on laptops and remote computers that are not regularly backed up to corporate servers. Users are able to install, configure and monitor backups from a central location via a web-based interface. In addition to this, StorageCraft provides support in various languages including German, French, Italian, Spanish, Japanese, and Portuguese. Unitrends Enterprise Backup provides a package of on-prem backup, backup to the cloud, cloud-to-cloud IaaS backup and DRaaS via integrated appliances and software-only offerings. The solution also offers hypervisor host-level security for VMWare, Hyper-V and XenServer, and more traditional security for physical servers and databases. The vendor even offers a predictive analytics algorithm that can detect a ransomware infection. Veeam Backup & Replication is a data protection and disaster recovery solution for virtual environments of any size. It provides fast, flexible and reliable recovery of virtualized applications and data. The vendor offers free promotions for backup of physical servers and O365 Exchange Online. It also features data center functions including tape support and snapshot storage integration, along with integration with key deduplication backup target appliances. Veritas offers NetBackup, which is a single and scalable solution that can protect physical, virtual and cloud workloads. The solution is available on a converged platform and requires minimal administration even in large environments. It eliminates point products with a single, integrated solution and improves productivity within a business by utilizing centralized, policy-based management.